functions.php, in other words, the theme’s core function file is one of the complex, complicated, and powerful arsenals of a WordPress theme. Basically, this file acts as a plugin and gets automatically loaded in both admin and front-end sides of a WordPress site. You can use this file to add features and it’s an extendable file that works for both the theme and the WordPress installation. You can find functions.php in your theme’s folder. In this file, you can add new WordPress functions and core PHP functions as well to hooks and filters that are predefined in WordPress core. Keep in your mind that only the active theme’s functions.php file will run its code on your site though there are others theme installed. 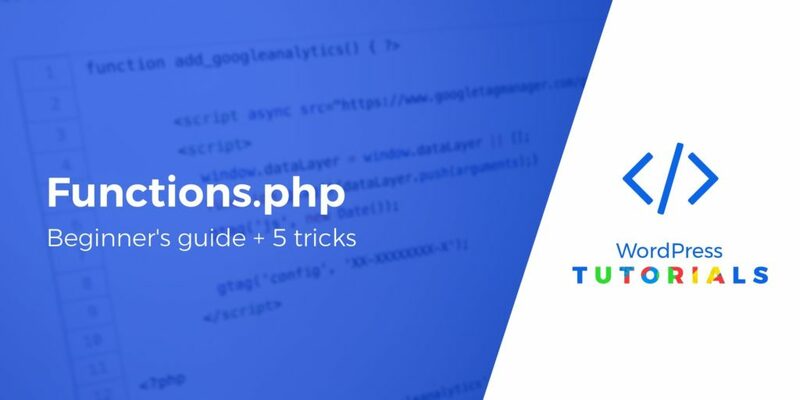 If any theme that doesn’t has any functions.php file, it can be created using a plain text file by naming funcitons.php. After creating the file you can add it to your theme that doesn’t bear a functions.php file. Every child theme has their own functions.php by default within the theme. You also can include WordPress actions and filters with the ability to enable post thumbnails, post formats, and navigation menus. Hopefully, this piece of writing helped you to know better about function.php file in WordPress.